ISLAMABAD: Pakistan Tehreek-e-Insaf (PTI) Chairman Imran Khan has defeated Khawaja Saad Rafique of Pakistan Muslim League-Nawaz (PML-N) in NA-131, Lahore 9 constituency, according to unofficial and unconfirmed results. The results for the area were one of the most awaited in yesterdays general election. Imran Khan has bagged 84,313 votes while Saad Rafique received 83,633 votes. The total number of registered voters in this constituency was 364,213 that included 165,514 female voters. The 16 candidates contesting in NA 131 included key participants Khawaja Saad Rafique of PML-N, Imran Ahmad Khan Niazi of PTI, Waqar Nadeem Warraich from Muttahida Majlis-e-Amal (MMA), Syed Murtaza Hasan from Tehreek-e-Labaik Pakistan (TLP), Asim Mehmood from Pakistan People’s Party Parliamentarians (PPP-P), and Zeba Ehsaan from Pakistan Muslim League-Quaid-e-Azam (PML-Q). 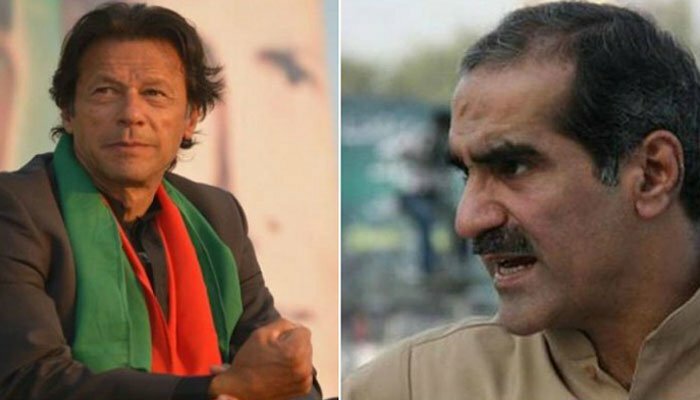 Earlier on Thursday, Saad Rafique had filed an application against the returning officer (RO) in NA-131. His counsel argued that results were not being issued as his client was the winner, terming the situation as delaying tactics. Moreover, PML-N leader Khawaja Asif has submitted an application for a recount in NA-73 Sialkot where he lost to PTI’s Usman Dar.